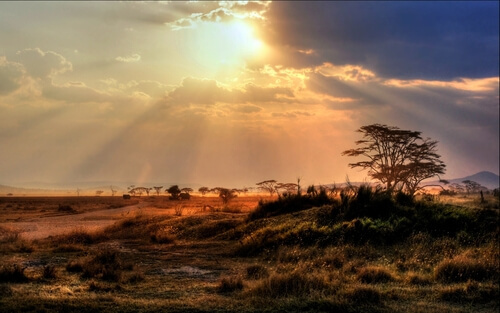 The national parks of Southern Africa are truly special havens: they’re places of adventure, scientific discoveries, great historic monuments, home to communities of conservationists, and, as many visitors discover, deeply spiritual lands. 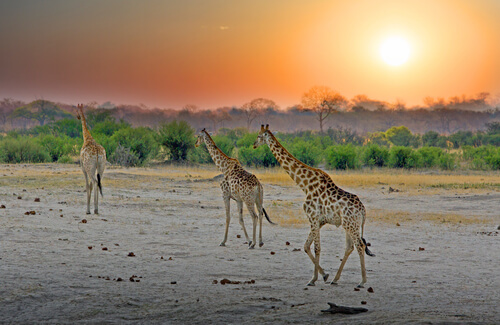 Botswana has a number of outstanding national parks and offers easy access to neighbouring Zimbabwe and South Africa. The pride of Botswana, Chobe National Park was officially established as a national park in 1967, however, its conservation roots stretch back to the 1930s when much of the region was declared a non-hunting area. Today, it's a pristine haven, famed for its lush floodplains, giant herds of elephants and buffalo and more than 450 species of birds, including a number of diverse vultures. With four distinct ecosystems, the park offers a huge variety of flora and fauna. To the west, there’s grasslands and savannah – perfect for cheetahs and lions who lick their lips when the annual migration of zebras passes through. In the central region is a hot, dry section – this is one of the park’s most isolated areas and the place to see large herds of mighty eland. Chobe National Park’s relatively low number of tourists means it guarantees an exclusive experience, particularly for photographers who are keen to capture a range of wildlife and landscapes. This is Zimbabwe’s most famous national park and is renowned for its predators. The park is close to the Kalahari desert and has a number of ecosystems that make it a paradise for big cats, African wild dogs, hyenas and other carnivorous mammals. Hwange is home to the Painted Dog Conservation Centre, established to protect and conserve the highly endangered African wild dog, and to educate local communities about the dogs. Another significant research initiative is the National Leopard Project, which surveys the number of this particularly clever and adaptable big cat. With more than 100 mammals and 400 bird species, plus important historic sites including ruins and rock paintings, there’s plenty of variety on offer here. South Africans’ hearts swell with a little bit of pride when they hear the words “the Kruger.” The country’s largest and oldest national park (it’s roughly the size of Wales) has a rich history and continues to be the site of groundbreaking scientific research and historical discoveries. 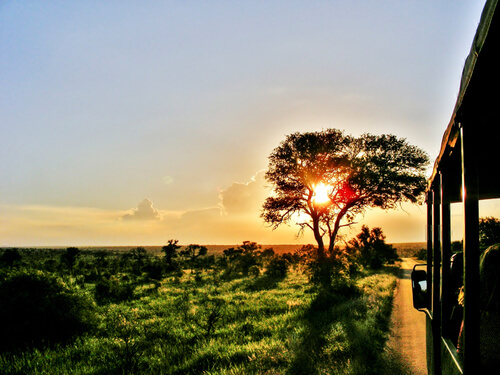 The Kruger is part of the Great Limpopo Transfrontier Park, which connects wilderness areas in South Africa, Zimbabwe and Mozambique. There are no longer fences between the three countries’ parks, allowing game to move fence-free across large areas. Located in two provinces, Limpopo and Mpumalanga, the Kruger is easily accessible through a number of gates, which is where visitors enter the park. Inside the park, there are numerous camps complete with accommodation and amenities such as stores selling the basics and simple restaurants and rest and picnic spots. In addition to the government-run camps, there are a number of luxurious private lodges that are popular with international visitors, as well as private concessions. With four ecosystems, it is possible to traverse from the lush southern reaches around Lower Sabi, home to large populations of lion and elephants, to the more arid landscapes in the north near Punda Maria Rest Camp. Established in the 1920s, the park also has a rich history of African settlements and colonial conquests and is the final resting place of South Africa’s best-loved dog, a brave Staffordshire bull terrier who faced a lion and was the inspiration for the book and film, Jock of the Bushveld. 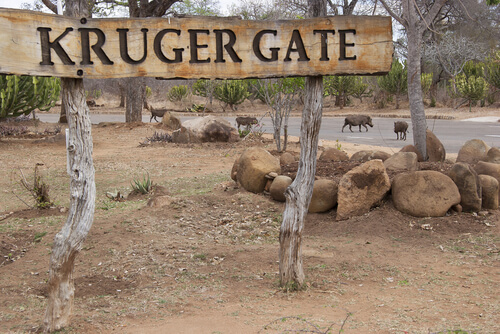 Visitors can see Jock’s grave and even stay at the private lodge within the park that bears his name, Jock Safari Lodge.